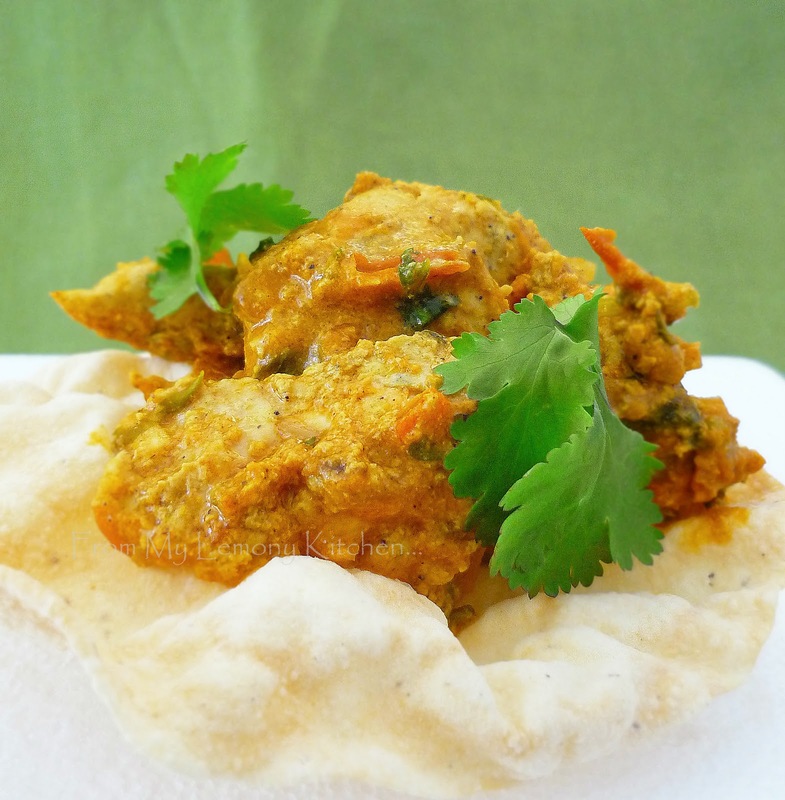 This is another Indian dish that we love... savour it with either Naan, Paratha or rice. Note: Available for participating restaurants only (which display the “accepts vouchers”) sign. The voucher is valid until Dec. 31, 2011 and could be used on the first order on participating restaurants in the site that has "accepts voucher" sign. Pound or ground tumeric, garlic and ginger into a fine and smooth paste. Mix in yoghurt and garam masala. Mix well... add in chicken strips and marinate overnight. Heat up pan and quickly sear chicken strips both sides (batches by batches) to seal its juices... Transfer to a plate. Using the same pan, add about 2 tablespoon of cooking oil. Saute onion until translucent, add garam masala. Give it a quick stir, then add in diced tomatoes. Leave it to simmer for about 10 minutes ot until the tomato become a bit mushy... pour in soup and juices from the chicken. Leave it to simmmer until slightly thicken. 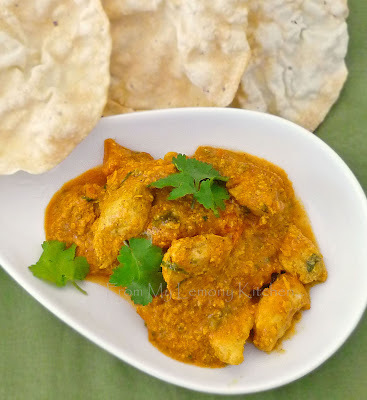 Add evaporated milk and salt to taste... simmer for another 10 minutes... Add chicken ... stir and make sure that the chicken strips are cooked through... turn off the heat and stir in Hara Masala. Your butter chicken looks awesome! I think I would go with rice.